OXFORD, Miss. – Getting an accurate blood pressure reading is critical for physicians to properly diagnose life-threatening conditions. Practitioners use the cuff method almost exclusively to measure indirect blood pressure, but numerous factors – including the size of the cuff, where the cuff is placed, body position and calibration issues – can affect the measurement’s accuracy. In a study published in the latest edition of Current Hypertension Reports, University of Mississippi health and kinesiology doctoral candidate Scott Dankel, of Howell, New Jersey, conducted a meta-analysis of 62 studies that compared blood pressure measured with a cuff to that of directly measured blood pressure with an arterial catheter. The data indicate that it may be difficult to accurately estimate intra-arterial blood pressure using the cuff method. “As a general rule of thumb, the cuff method gives values of systolic blood pressure that are a little low and diastolic pressures that are a little high,” Dankel said. “In addition, there may be a large gap between what an individual’s actual blood pressure is and the blood pressure value given by the cuff method. 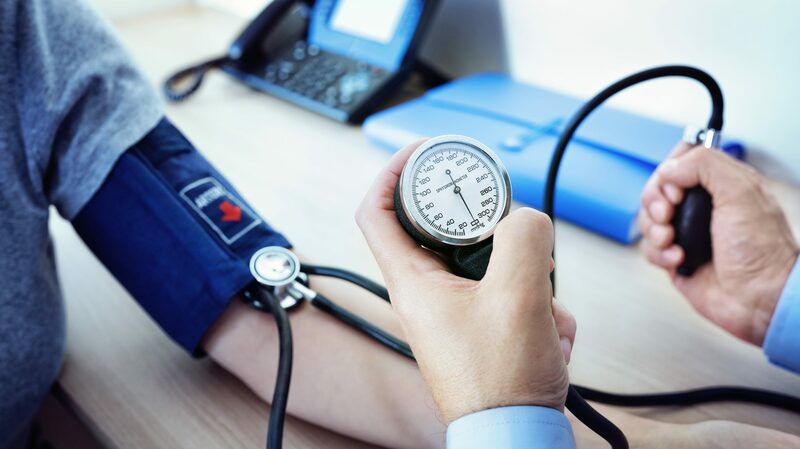 Blood pressure is expressed in terms of the systolic pressure – the peak pressure when the heart beats – over the diastolic pressure – the pressure between heartbeats – and is measured in millimeters of mercury, or mmHg. “The systolic blood pressure value that you get from the cuff method is likely to fall within 20 mmHg of what the individual’s true blood pressure is,” Dankel said. “Similarly, the diastolic blood pressure value you obtain from the cuff method is likely within 15 mmHg of the individuals actual diastolic blood pressure. “Thus, an individual with a blood pressure of 140/90 would have a systolic blood pressure ranging anywhere from 120 to 160 and a diastolic blood pressure ranging anywhere from 75 to 105. This means that someone can be anywhere spanning the range from having normal blood pressure all the way to being stage-two hypertensive. Ideally, this range would be much smaller, but this is not what we found. The results of this study not only have implications for clinicians in diagnosing hypertension; they may detail a potential underestimation of the association between blood pressure and numerous other health outcomes found in epidemiological studies. This meta-analysis calls for future research to find better alternative means of measurement. Co-authors of the study include Minsoo Kang, professor and chair of the Department of Health, Exercise Science and Recreation Management; Takashi Abe, visiting professor in HESRM; and Jeremy Loenneke, assistant professor of HESRM. “While at the UM, Scott Dankel has demonstrated tremendous ability as a researcher,” Kang said. “Scott had 10 first-authored publications in some of the field’s top journals within the past year. This is simply outstanding.